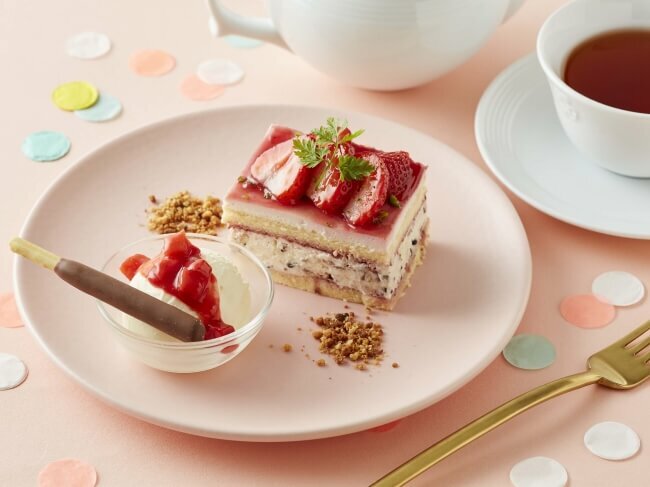 Afternoon Tea Tearoom has teamed up with the internationally beloved Japanese snack Pocky by Ezaki Glico to release the Strawberry Pocky Shortcake on January 29. 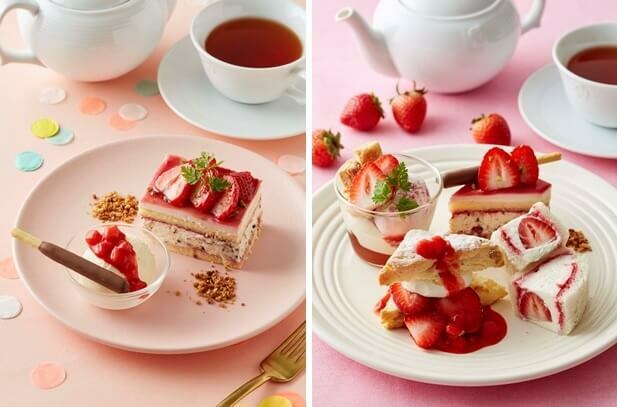 The all-new Pocky shortcake comes in collaboration with Tearoom’s “STRAWBERRY FUN DAYS” event that is currently running until March 4. The cake is served with Gogo no Zeitaku Pocky, a variety of Pocky thicker, richer and smoother than the regular version. The combination of the sweet and sour strawberries with the chocolate go perfectly with the Tearoom’s black tea. The sponge cake is filled with a zuccotto cream made from custard cream, whipped cream and chocolate nibs. Enjoy the most luxurious Pocky experience ever by ordering one of these before they sell out! *Stock is limited and sales will discontinue once all have been sold. Prices may differ at certain branches.